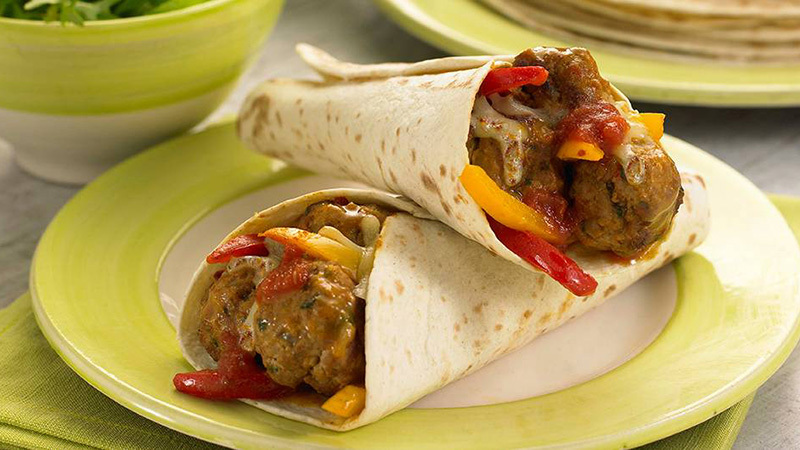 Succulent pork meatballs, tasty peppers and hot melted cheese wrapped up in a warm tortilla. Throw the mince, onion, coriander and half of the rich Tomato & Bean Stir-in Sauce mix into a large bowl. Mix it up and shape into 32 small meatballs, about the size of a whole walnut. Heat the oil in a large frying pan and add the meatballs, cook over a medium heat for 4-5 minutes, until lightly browned on all sides. Remove the meatballs from the pan and throw in the peppers to cook for another 2-3 minutes. Then toss the meatballs back into the pan and add the remaining Tomato & Bean Stir-in Sauce and 125 ml warm water. Cover and simmer over a medium heat, for 10 minutes, stirring occasionally and adding a little water if the sauce becomes too dry, until the meatballs are cooked through. 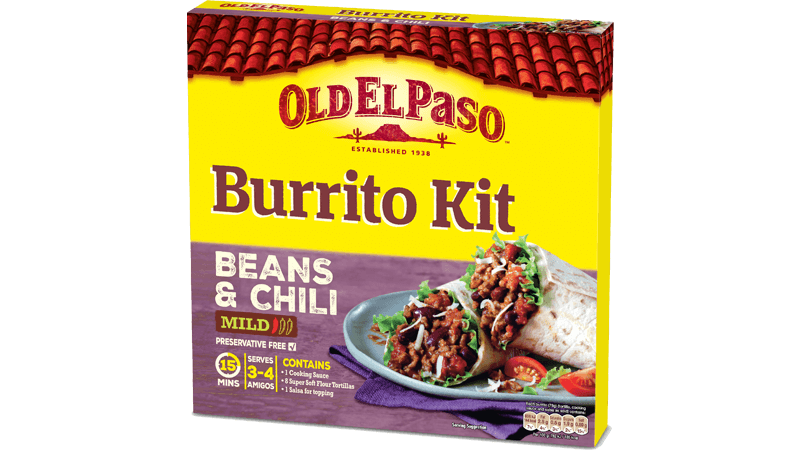 Warm up the Soft Flour Tortillas following the instructions on the pack. Grab warm tortilla, pile in 3 or 4 little meatballs, sprinkle on some cheese and add a dollop of cool salsa. Roll up, not forgetting to tuck in one end to make a burrito.